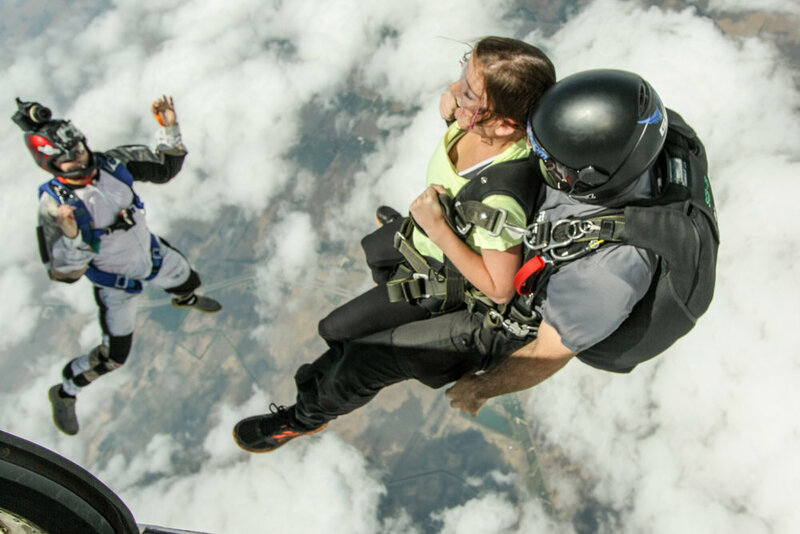 Skydiving takes adrenaline, fun and empowerment to a whole new level. Located at Frankfort Municipal Airport, just 30 minutes from I-465N, we’re the largest drop zone in Indiana with one of the best safety ratings in the country. And we’re a short drive from Chicago, Champaign, Louisville, and Ohio. Ready for an amazing adventure? Skydive with us! You get the thrill—an exit from 13,000 feet, a free fall at 120 mph, the sense of soaring under canopy. Our USPA-certified instructors are responsible for pulling, steering and landing softly and safely. Want to skydive solo? Our 12-jump Accelerated Free Fall (AFF) program will get you there. Trust our instructors to help you master everything from exits to free fall, canopy control to landings. 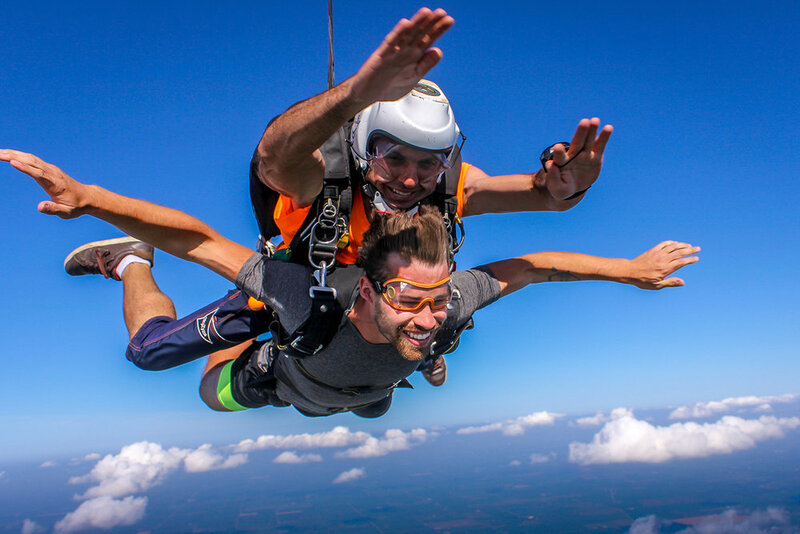 There are lots of reasons to make us your skydive home. Our low rates for licensed skydiver rates. A full-time turbine jump aircraft. And lots of opportunity to grow your skills and your skydive family. 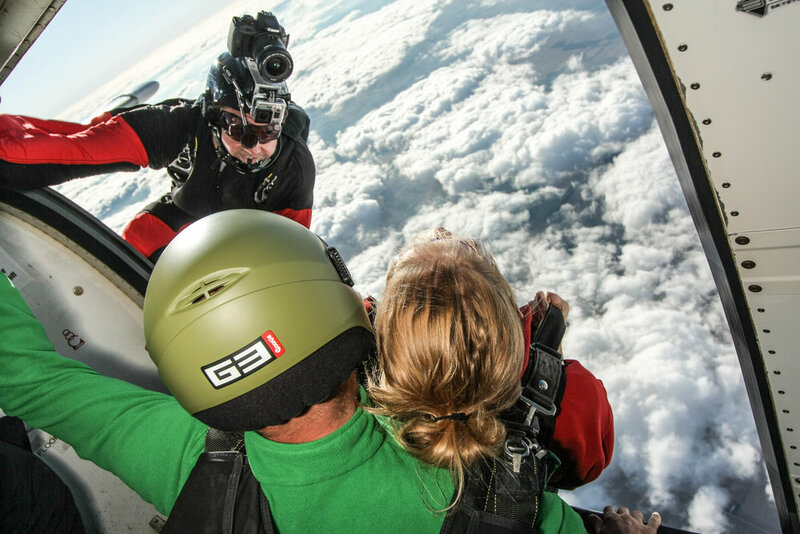 There are so many ways to save on your skydive. Group discounts. Student discounts. Active military discounts. Even an out-of-state discount. 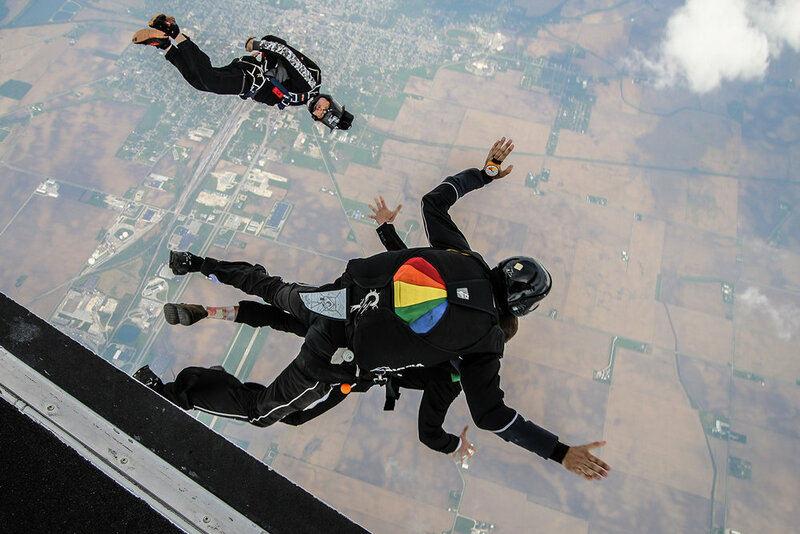 Skydive videos and photos let you relive and share your skydive over and over again, and the photo and video packages from Skydive Indianapolis are simply amazing. There are three options, and all involve a USPA-rated videographer chronicling your entire experience from gearing up to boarding the plane, exiting to free fall to landing. Trust us, you’ll love the experience and the memories! 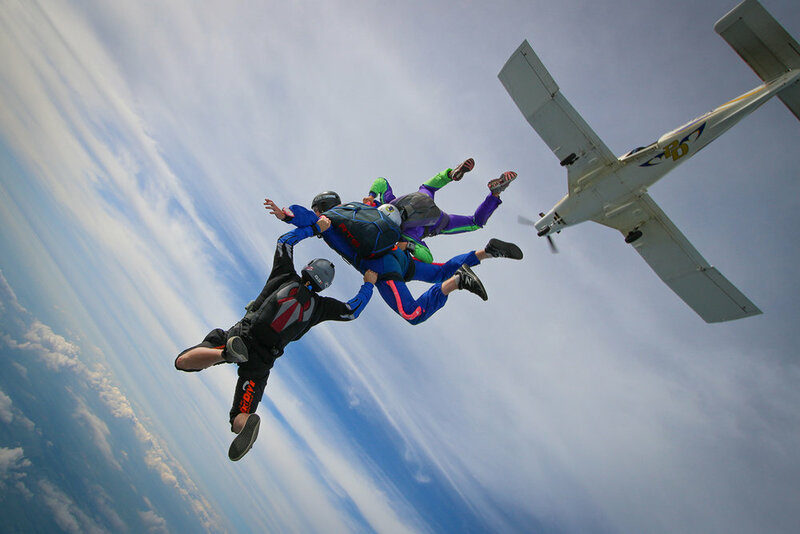 Add some excitement and flair to any event, game or festivity with a demonstration skydive. Whether it's three pro-rated skydivers or twelve, Skydive Indianapolis' demo team always draws a crowd. Looking for the perfect gift? 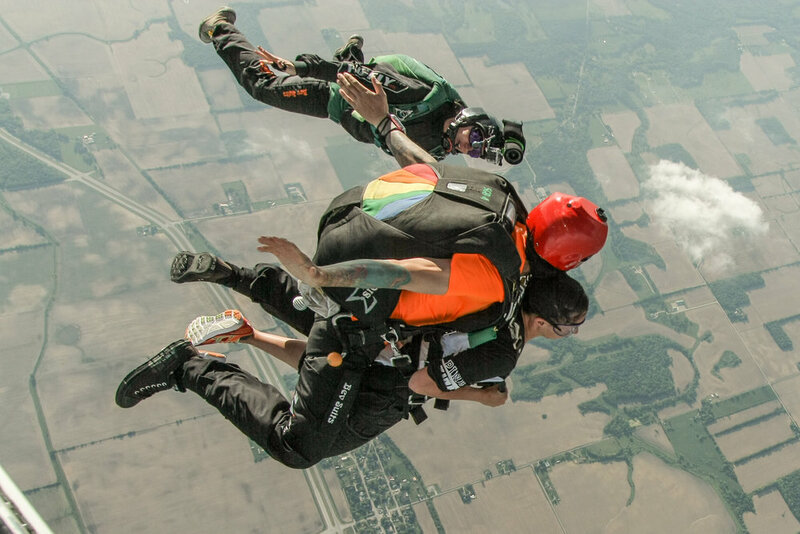 Odds are, a Skydive Indianapolis Gift Certificate could be just the thing. 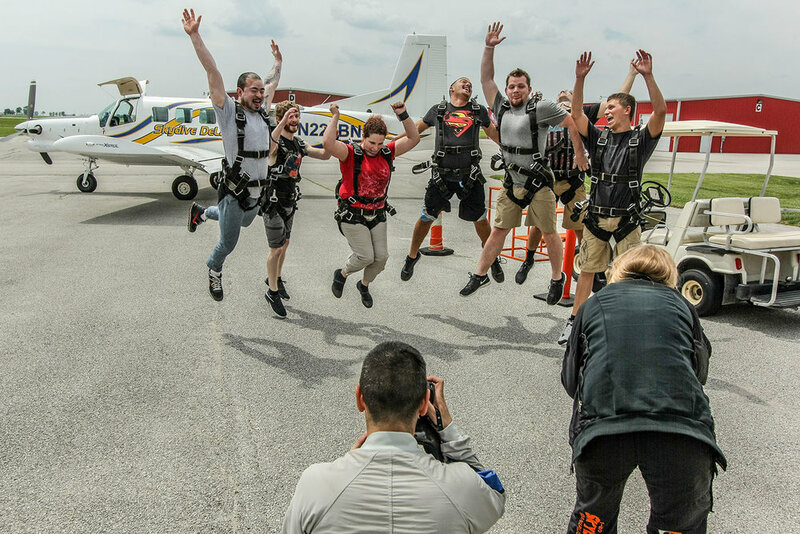 It's the best place to get the thrill-seeker on your list a tandem skydive, video or still photos, Skydive Indianapolis gift money and more. Browse here.